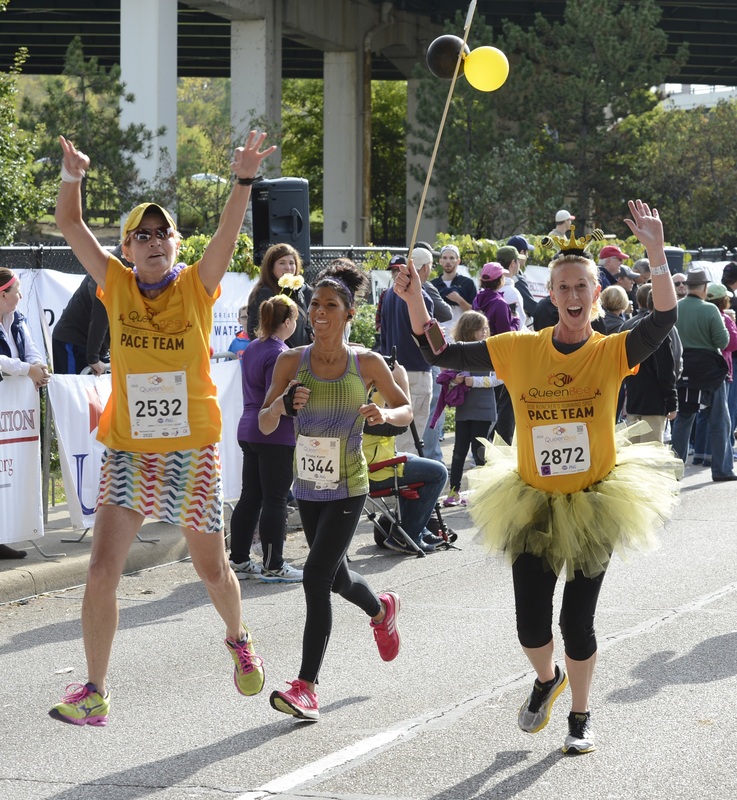 Thanks to our official Queen Bee Half Marathon pacers, you will be delivered to the finish line right at your goal time! Stop by the Pace Team booth at the Kroger and P&G Bee-U-Tique Expo on Friday, October 11 from 11am-8pm to get information. It is not mandatory to register for a Pace Team and any participant is welcome to join a Pace Team on race day. There is no fee to join the Pace Team. Look for the Pace Team signs in the appropriate corrals at the starting line. In order to avoid the last minute crowds and congestion, plan to meet your chosen group about 30 minutes prior to the start.